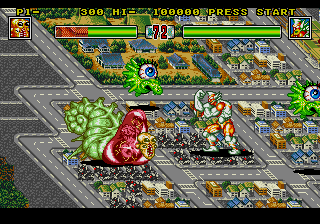 ports of the two popular arcade games by SNK. might be able to beat your foe with ease - but hey! and hours of enjoyably mindless mayhem. No, i don't like it. 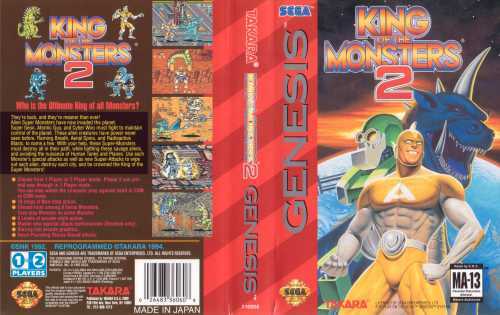 Played King of the Monsters on SNES and Genesis.... no, i don't like it. Yuk. 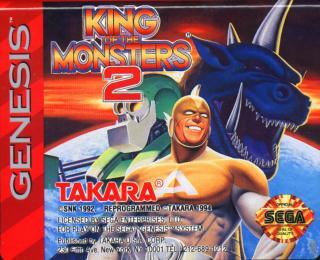 Possibly one of the worst fighting games ever made. This was one of the most original ideas game devolopers ever had. If you didn't like it then obviously don't pick up The new Godzilla game for the game cube. Cause you know, more of the same right? But This gome rocks! 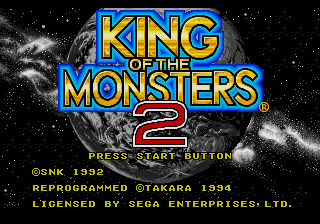 fairly enjoyable as it adds something to what is really just a fight game with interactive surroundings. I've played the first one and it rocks!